2011 was probably one of the most exciting years in terms of my artistic development. Overall, it’s seen a lot of my work go out into the wild, rather than just sitting on a server or on my computer. January was pretty slow and saw me mostly carrying on with my studies at Birmingham City University. Although it was a slow month I did finally meet Rob Myers at the Furtherfield show opening in London. I was also asked to join BiLE as their visuals guy. After initially being hesitant, due to my lack of experience in performing live, I accepted the offer. What Revolution? 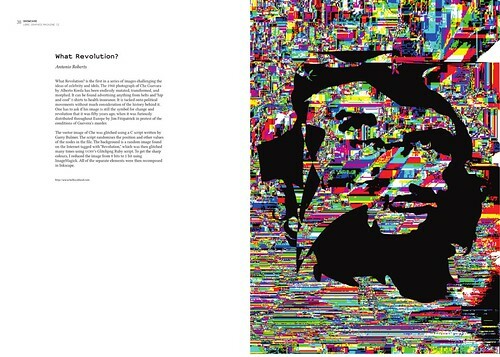 appeared in Libre Graphics Magazine (you can still buy a copy). The finished competition entry, Internalised, sadly didn’t win but did go on to be shown at Cannes in a Van later in the year. I also had the pleasure of meeting Rob Canning of GOTO10 whilst they were in residence at Grand Union. Pure Dyne, which is made by them, was one of my first positive experiences with Linux so it was great to meet those who have inspired my work! I did slip in some footage from the wedding itself, but it did seem no one noticed. We then played our first gig outside Birmingham at the Electroacoustic Compostion Forum in Liverpool. Has anyone else tried using it? I traveled to Brussels for a short trip to meet OSP (Open Source Publishing) (more photos are here. They’re one of the few design agencies that focus on producing work made entirely using open source applications. What more proof do you need that open source tools are more than capable of producing design that is indistinguishable from work made with proprietary tools. I’ve been an Ubuntu user for a number of years and whilst I’ve faced many problems I’m now at a stage where I can produce work quite easily. 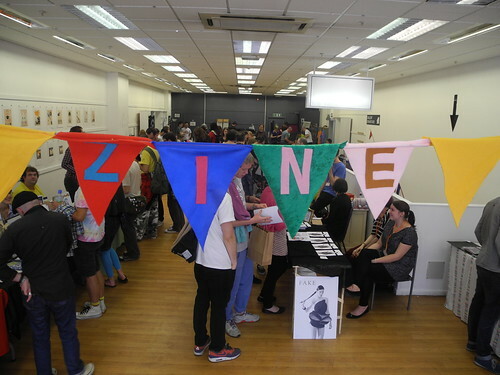 I’ve been helping to organise Birmingham Zine Festival since its inception in 2010 and in July we expanded to fill the We Are Birmingham shop. A day later I jetted off Venice with BiLE to perform at the Laptops Meet Musicians Festival. Whilst there I met rukano IRL and the band he’s part of, Benoît and the Mandelbrots. 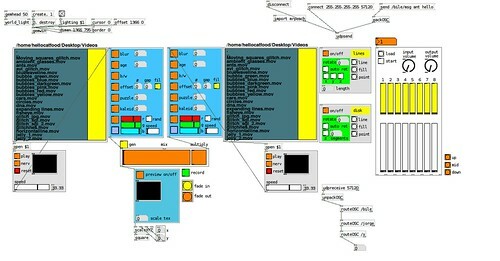 Throughout my time in BiLE I’ve mostly been learning about the whole electroacoustic music scene. Being mostly a fan of heavy metal and the like, this is all new, and at times, just plain weird! Events like this, where people are able to talk freely about their motivations and approaches to this type of work, have really helped me to understand it better. BiLE also performed at SOUNDkitchen’s SONICpicnic (more pics here). 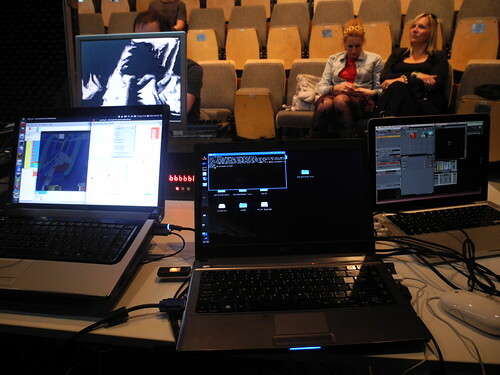 Freecode performed at the hexagon theatre at the mac. This was quite a special gig for me as I performed alongside Modulate and Scree (Catweasel and DJ Sir Real. Back in 2007 when I was looking for local digital arts groups/artists it was these that I came across that then went on to inspire my work. Did I mention that I met Richard Stallman? Despite it being 90% finished earlier in the year, in September I finally finished Skin Cells. Straight after that it was time to get started on GLI.TC/H. With only two months to go things were getting a bit hectic. A (successfully funded) Kickerstarter was launched to support GLI.TC/H in Amsterdam and Chicago, whilst Birmingham opted for support from other sources. 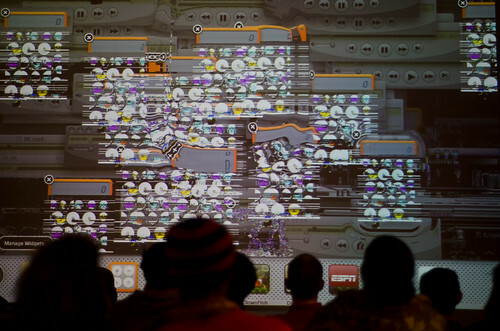 I curated a screening of some great glitch videos as part of Flip Festival in Wolverhampton. This acted as a preview to GLI.TC/H, which by this point, had eaten up most of my free time. 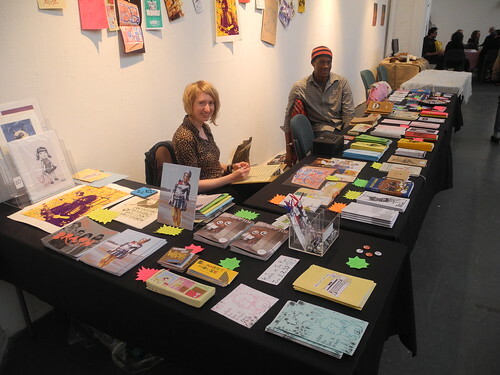 Meanwhile, Birmingham Zine Festival held a stall and small zine exhibition at Supersonic Festival in Birmingham. November was all about GLI.TC/H!!! The festival kicked off in Chicago at the beginning of the month, then went to Amsterdam before finally setting down at VIVID in Birmingham. GLI.TC/H, for many reasons, was definitely the highlight of my year. Although I had organised art and tech events for awhile (most notably fizzPOP), I had never done anything on this scale. I’m thankful to the GLI.TC/H bots for allowing me to curate GLI.TC/H Birmingham and to the various people and organisations for supporting all of it! srsly, thanks! 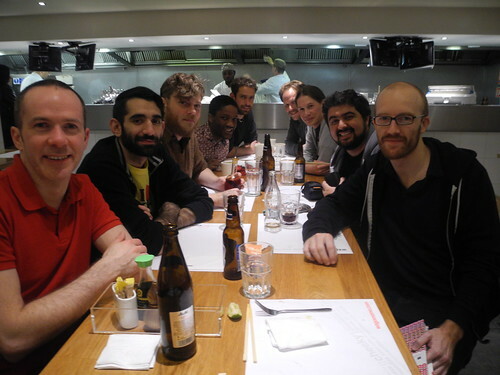 I really liked how GLI.TC/H brought together many like-minded artists, many of whom had never met before in real life and were more likely to know their username than real name! 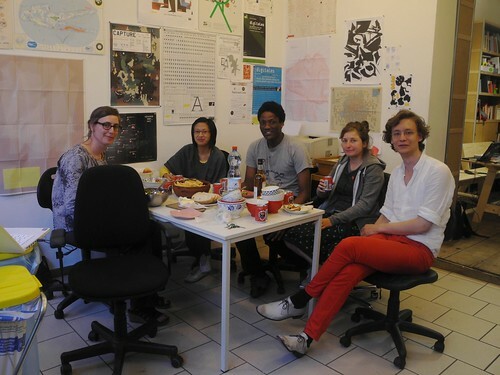 Here’s some of the GLI.TC/H superstars hanging out after some good fuuuud! Also, this month I Am Sitting In A Room, a piece inspired by Alvin Lucier’s work of the same name, had an extra-special showing at a celebration of Alvin Lucier‘s work in Connecticut in the US. I never would’ve thought that this video would’ve been seen by the guy who inspired it! Elsewhere, What is your glitch? 1bitgifavibmpbmpcmykbmprgbjpgmpgpcxpixpngppmsgisvgtgawebp was shown at Leeds International Film Festival and I did a micro residency in Coventry. Practically nothing happened, and for that I’m thankful! With most major things in my life over bty this point (my studies and GLI.TC/H) I used December as a period to reflect and think about where I could attempt to take my practice next. 2011 was definitely a year that took me by surprise. Here’s to 2012 being just as awesome!